I'll be working on revising this post here, I was going to write it in a text document but realized it would be easier for me to get all the images if I just made it here. I was looking for a a save feature so I could wait to post until complete but could not find it. So please note this is all a work in progress and NEEDS further revision/information. VDDC is the supply for the audio adc/dac. Also 3.3V, but it has a separate linear regulator from +5V." 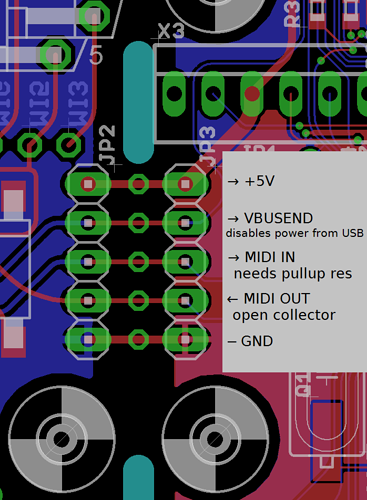 on the current schematic "AVDD of U3 seems to be connected to VDDA in the schematic, but it really is connected to VDDC, not to VDDA." 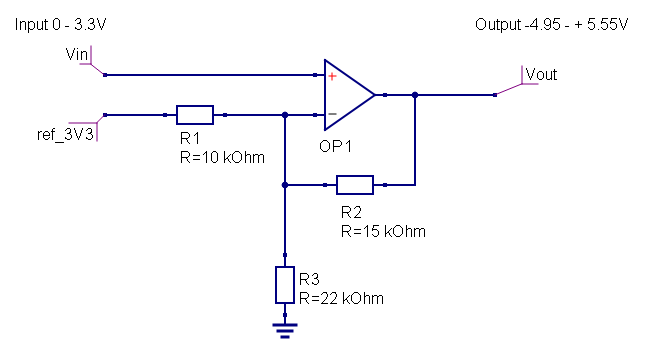 inputs using rail to rail op amp to clip down to 3.3V. Note: inverts the signal. Note: bypass caps between + power and ground and - power and ground is very helpful when working with eurorack power especially if it is on flying by boards. They are reserved for future expansions, using them will likely conflict with official future expansions. What do the "R T S R T S..." pads mean? They're a sort of hack-patchbay between the actual headphone, line-out, line-in jacks and the rest of the circuit. There are two rows of pads, the row closest to the connectors connects to the connectors, the other row connects to the circuit. These two rows are connected with a small trace on the backside. By cutting that trace, you can re-purpose the on-board jack to something else, while breaking out the signal to an external connector or circuit. 'R' 'S' and 'T' mean ring (right), tip (left) and sleeve (ground), and the three groups correspond to headphone, line out, and line in. Is for in-circuit-debugging, some developers use this while developing firmware and diagnosing complex issues. Setup guide. There are some slots in the board, to make it easier to reduce the size of Axoloti Core if required. 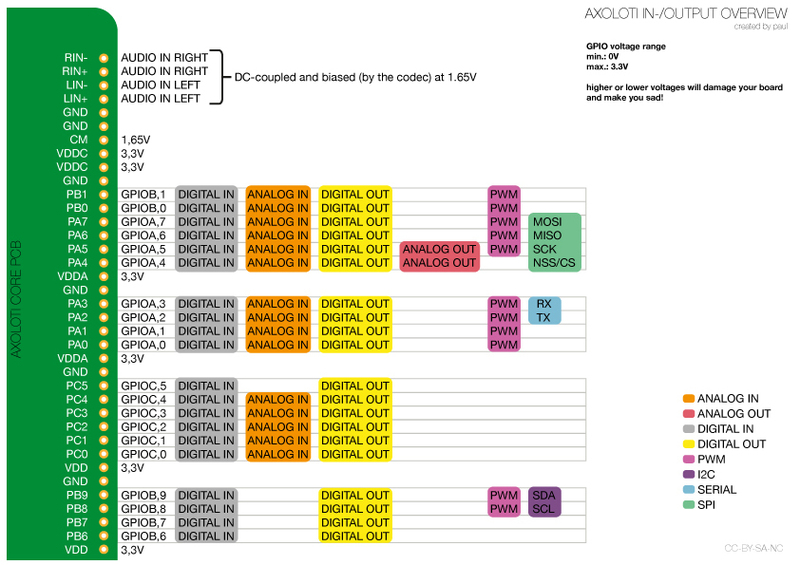 If you do not need MIDI and DC power input, Axoloti Core works without that part. Or you can re-connect both parts together. Some mounting holes line up, allowing to sandwich-mount both parts with M3 spacers. Don't just break the board by bending, cut along the slots with a small iron saw, or use a sharp snap-blade knife to score the circuit board, cut many times on the same line, and develop a v-shaped groove. Cutting circuit board makes a knife dull pretty fast... Once you have developed a deep v-shaped groove, you can snap the part. Who has the most handsome gut shots? 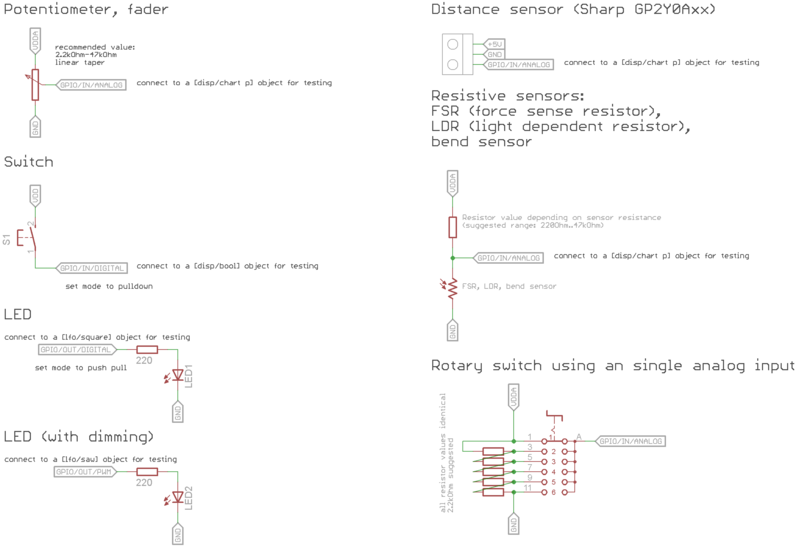 How to wire potentiometers into MIDI cable with a breadboard? Can I make cv inputs with vactrols?